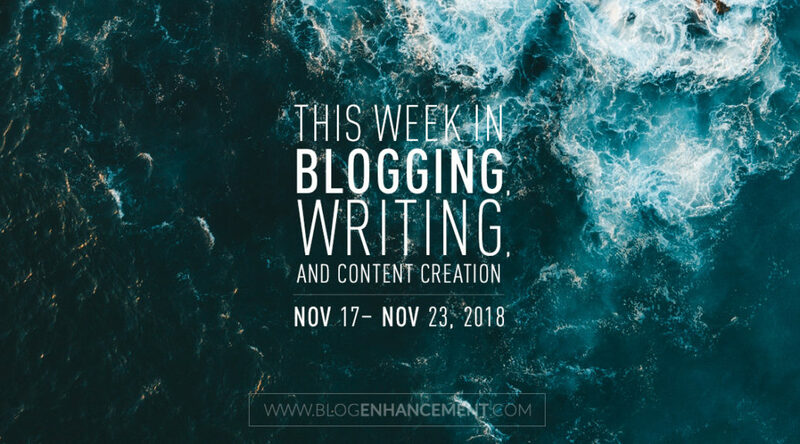 Welcome to another weekly round-up post from our growing community of bloggers, writers, vloggers, podcasters, and other fellow content creators. Each and every week we hand-pick five top posts from a pool of the highest voted user-submitted/created posts in the community and include them in this weekly round-up blog post, along with the newsletter for all of our e-mail subscribers. Waiting online was his other community, an unreality where nothing was exactly as it seemed. He logged onto his website and began to invent his first news story of the day. I dream of a stardust utopia where every sentence I spew out is eagerly swallowed up by the masses—but unfortunately I’m far more familiar with dismissal than blind applause. As a writer and editor at The Hustle, people regularly ask me how we choose our stories for the email and manage to make bland business topics palatable for readers. Reading online is very different from reading a physical copy of something and if you want to keep your audience interested and engaged you need to know what they expect. I’m amazed at how many people slap together averages of top posts and call it “analysis,” actually thinking this is sufficient, let alone “significant” on any intelligent level. That’s all folks! You can view all the rest of the community’s top submissions (10 more) here. PS: Run a blog, vlog, or podcast? Start an accompanying community (like ours) on Snapzu (a platform for bloggers/influencers) and utilize it to effortlessly create and send out awesome routine round-up posts/newsletters like this to help grow your audience and newsletter 3x faster! It’s free! Learn more.